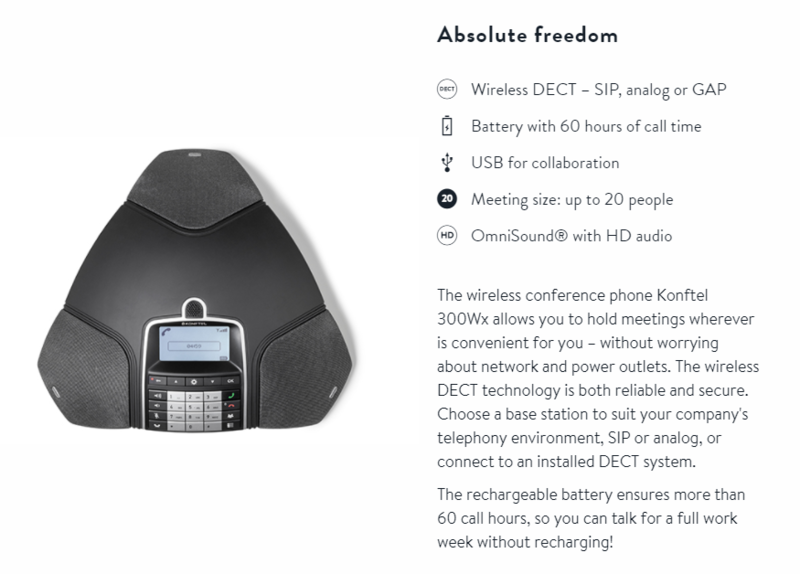 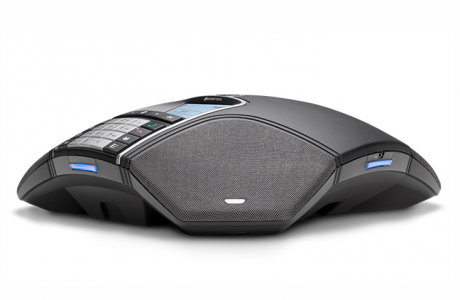 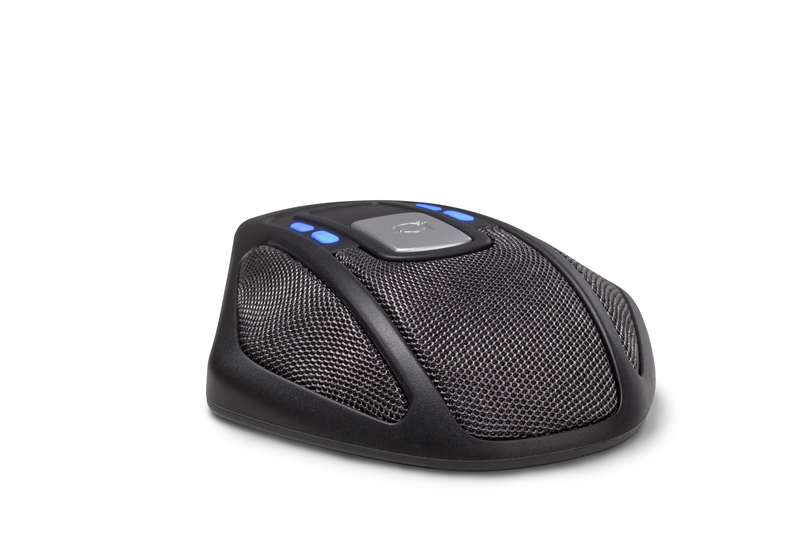 The wireless conference phone Konftel 300Wx allows you to hold meetings wherever is convenient for you – without worrying about network and power outlets. 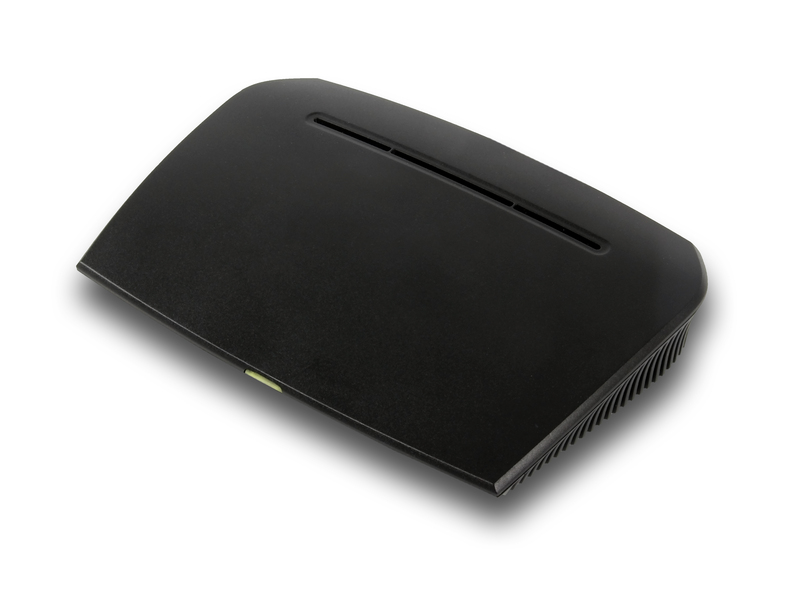 The wireless DECT technology is both reliable and secure. 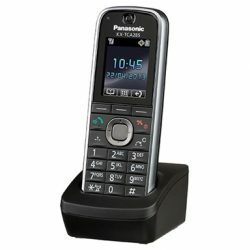 Choose a base station to suit your company’s telephony environment, SIP or analog, or connect to an installed DECT system.